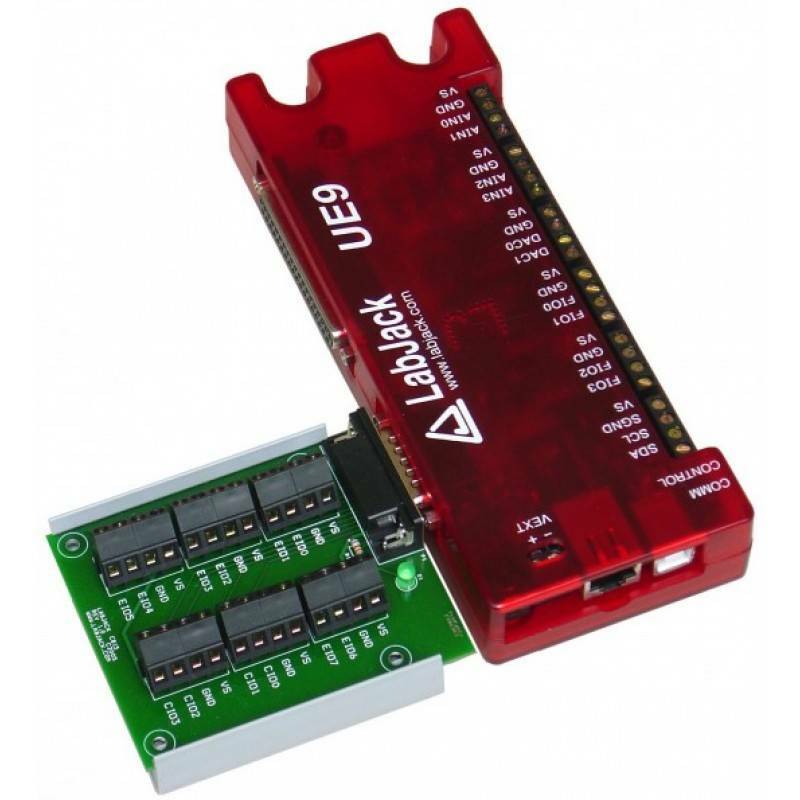 Provides convenient screw terminals for the DB15 connector on the LabJack U3, U6, or UE9. Includes a screwdriver. Not compatible with the U12. The CB15 terminal board connects to the DB15 connector on applicable LabJacks (not the U12). 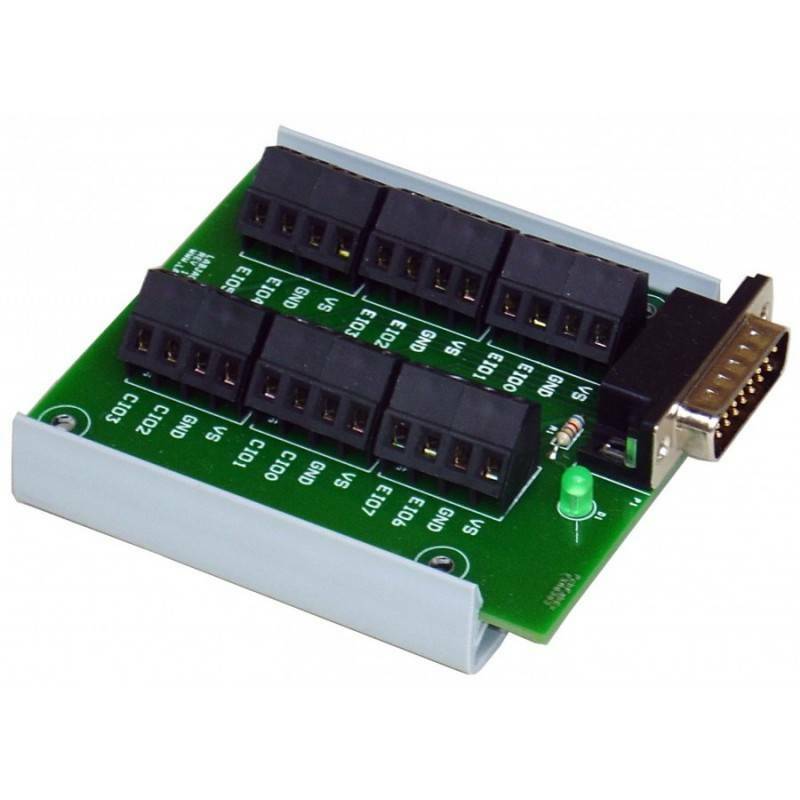 It provides convenient screw terminal access to the 12 digital I/O available on the DB15 connector. 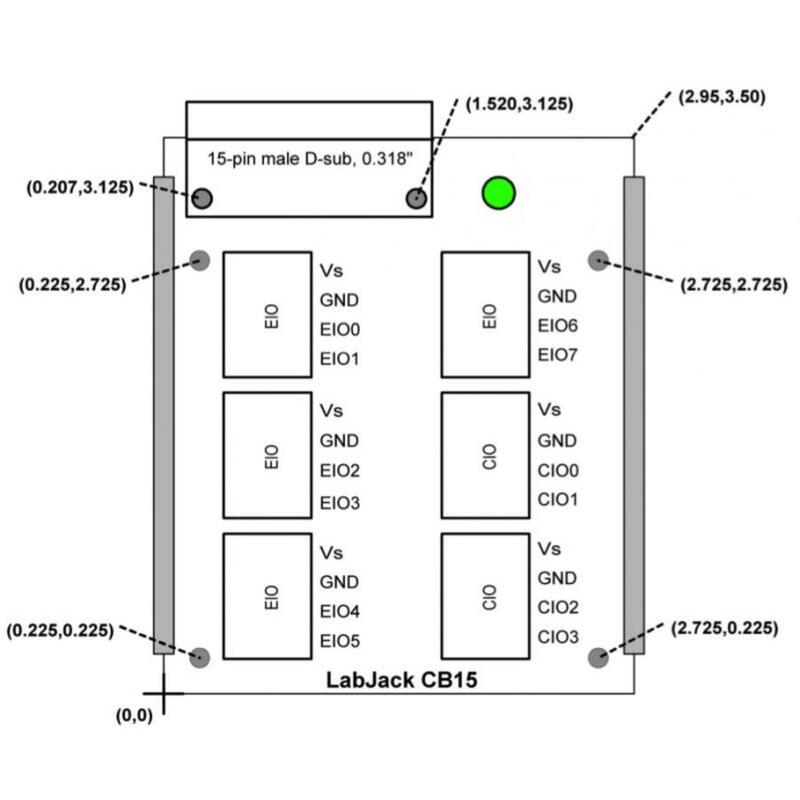 The CB15 is designed to connect directly to the LabJack (see image below), or can connect via a standard 15-line 1:1 male-female DB15 cable (not included). 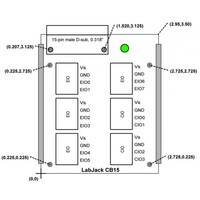 The green LED on the CB15 is directly powered by the 5-volt supply (Vs) from the LabJack, so it should be lit whenever the CB15 is connected to a powered LabJack. The CB15 PCB is mounted to a piece of Snaptrack. The Snaptrack is DIN rail mountable using TE Connectivity part #TKAD (not included). U wilt een snelle levering ?